SwapSlide is an application that allows users to ‘swap’ goods/services on all smart devices. It eliminates unwanted conversations and only connects members with other members who have a mutual swapping interest. There is no cost in using the application and members determine the value of their items. Categories can range from video-games to vehicles to guitar lessons. SwapSlide’s vision is to change how people consume by shifting buying behaviour to swapping behaviour. Our mission is to create the fastest and simplest swapping experience on the planet. SwapSlide will make it easy for members to swap their goods/services by allowing them to take a picture of their selected item and upload it to the app to start matching. The simplicity, speed and efficiency of the app will make it easy for users to quickly identify a match close to their area where they can decide to meet or send out their items. Communication is simple as users will be placed into a chat interface once their is a match or they ‘accept’ a suggested swap. Predominantly SwapSlide will allow people to save their money on more important things. We’ve identified a gap in the market for the trading of goods and services as, in our opinion, there are no simplified applications that bring people together who have mutual swapping interests in Ireland or across the world. We have identified big markets where consumers are spending their income for used goods e.g. videogames, books, clothes, toys. In addition we have completed a market research report with DIT to sample the market and identify a need for the application amongst millennials. Nearly everyone I know has valuable items lying around their homes they don’t use (myself included) that just sits there. The traditional process to swap these items is time consuming. Typically, you would have to post an item on a website then hope and pray that someone will contact you. Even when you are contacted there is no guarantee you will be offered an item you would swap for. SwapSlide eliminates all of these unwanted conversations, significantly reducing the amount of time to make a swap. Alongside this is the gamification aspect. Similar to the story of Kyle MacDonald who started off with a paperclip and in 14 trades ended up with a house, SwapSlide gives members a platform where they can start off with a low cost item and end up with something significantly more valuable. SwapSlide is centered around the concept of every person having a different perception of value. We developed the initial concept back in the spring of 2014, however, the idea has evolved several times before we officially registered the company as SwapSlide in May 2017. Ultimately our goal is for the app to be used by anyone aged 18-55 however our initial target markets are as follows; students, gamers and parents. 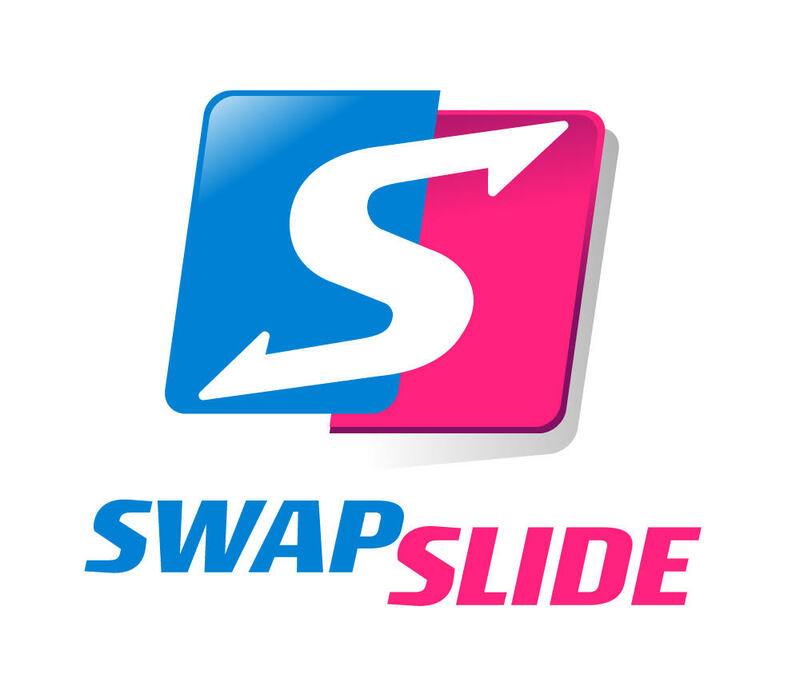 Currently there are two members of SwapSlide who founded the company. We are also working with a team of students but there is also potential to expand the team over the course of the year after our launch in September for Android devices. Our long-term vision is to change the way people consume products and services. We want to create a shift from buying behaviour to swapping behaviour across the world. This is inspired by the idea of giving back to the community and allowing people to use their income on the more important things in life. We live in a world where we are targeted by advertising everyday encouraging us to spend our hard earned income on items we (for the most part) won’t use. Ultimately, long term we want to be the number one swapping service provider on the planet. Currently I’m using my Nintendo Switch quite a lot which I got for my birthday as you can continue to play your game while you move around the house (if you’re a multitasker like me) but the Amazon Echo has caught my eye lately. Would love to be able to have a hands free, multipurpose, voice recognition device to play my Spotify music or switch off the lights. At the moment applications like Facebook Ads Manager, Crowdfire and Hootsuite have all played a big role in streamlining our social media marketing processes. We are always on the market to see what else is available to help us with our business. Please find below the app download link to include in the article as well as our promotional video which explains the app in 36 seconds. We have also provided a link to our site to be included.